With over 40 years of construction experience, Chester Bross Construction Company has successfully completed thousands of projects ranging from site work and paving operations for local driveways and parking lots to performing grading, paving and construction services on interstate highways. Chester Bross Construction Company has the necessary equipment, manpower and resources to complete a wide array of projects from start to finish. 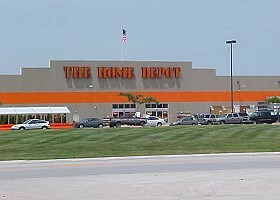 Chester Bross Construction Company provided clearing, grading, placement of base rock and asphalt and concrete paving of entrances and parking lot area for the Home Depot in Kirksville, MO. 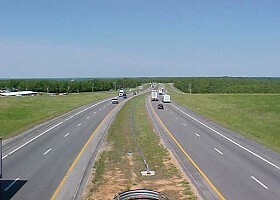 Chester Bross Construction Company was awarded the "Quality Paving Award" for coldmilling and resurfacing nearly 29 miles of I-44 in Pulaski County, MO with Superpave asphalt 24 feet wide. 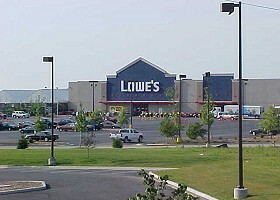 Site grading, earthwork, installation of storm sewers and asphalt paving of the parking lots were performed by Chester Bross Construction Company on the Lowe’s facility in Quincy, IL. Grading, concrete paving and bridge construction services were provided by Chester Bross Construction Company for the construction of two new lanes of Hwy 63 in Randolph County, MO. 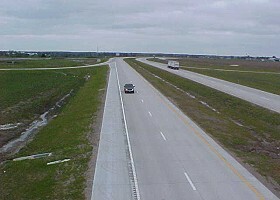 In addition, coldmilling and Superpave asphalt operations were also performed on the existing two lanes of Hwy 63. 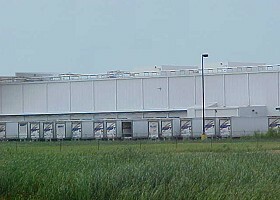 Site grading and preparation, base rock placement, utility installation and concrete paving operations were all incorporated into services provided by Chester Bross Construction Company in construction of the Wal-Mart Distribution Center in Moberly, MO. 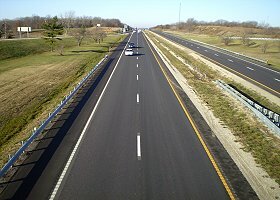 Chester Bross Construction Company resurfaced approximately 8 miles of the eastbound and westbound lanes of I-70 in Cooper County, MO with Superpave asphalt and placed BP-1 asphalt on the shoulders. 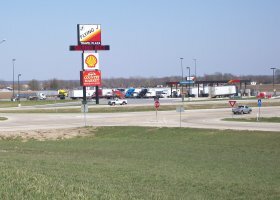 Chester Bross Construction Company provided clearing, earth work, water, storm and sanitary sewer, baserock, and provided the asphalt paving for both the auto and truck lot areas for the Flying J Service Center in Wayland, Mo. 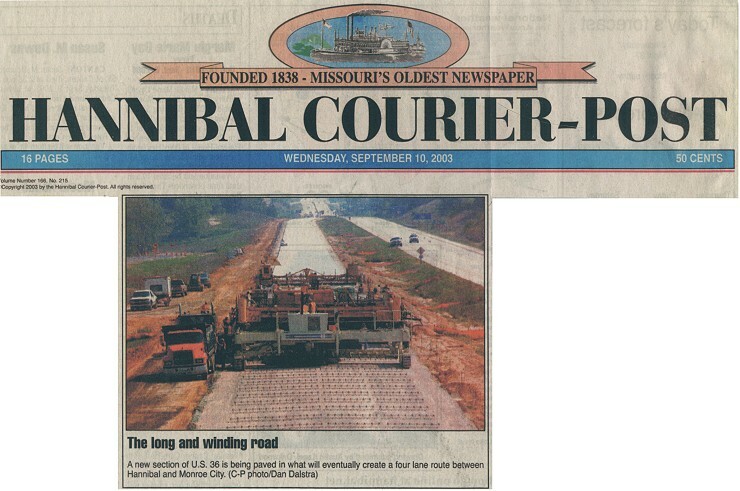 Construction of approximately 7 miles of new two-lane concrete paving on Hwy 36 in Marion County, MO was performed by Chester Bross Construction Company. 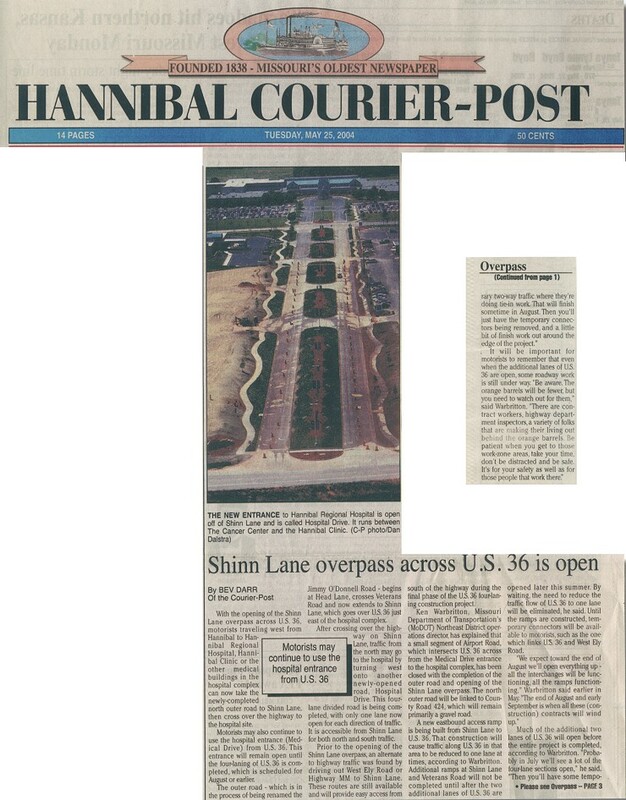 Chester Bross Construction Company provided access to Hannibal Regional Hospital through the construction of the concrete paved median crossings and paved approach.